IAS Guest Lecture in cooperation with Institut Francais: Is There a Way Out of the Crisis of the European Construction? Whereas, after the historic turning point of 1989 and the adoption of the Maastricht treatise, there was widespread conviction that an enlarged and institutionally strengthened European Union was becoming a major force of contemporary history, a brutal succession of setbacks in the last decade have produced the exact opposite representation: existential crisis of the E.U., perhaps on the verge of collapsing and in any case in a deep crisis of legitimacy as a political project. They include the Greek crisis and the vacillation of the euro, the refugee crisis, the Brexit, the increasing tensions between Northern and Southern, Eastern and Western member states, the development of strong anti-European “populist” movements on all sides of the continent. The lecture argues that, in such “interregnum”, where neither a return to pure national sovereignty nor progression towards innovative federalism seem possible, the history of the European construction must be revisited, so that new political foundations can be discussed democratically. 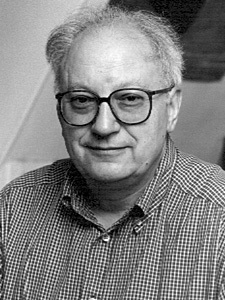 Etienne Balibar is professor emeritus (Moral Philosophy and Politics) Université de Paris-Ouest Nanterre and Anniversary Chair in Modern European Philosophy, Kingston University, London.